The 12-inches-high artifact is dated to the second millennia BC. 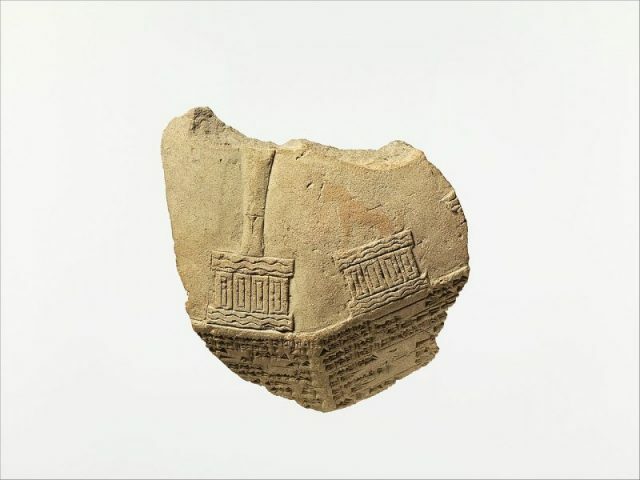 It’s a unique item inscribed with cuneiform text and is believed to have been illegally excavated from an archaeological site in southern Iraq. Albeit the stone has been damaged, its value as a rare historical item secures it a place on museum shelves. According to the Guardian, who reported the story on March 10, 2019, the suspicions of a border control officer were raised by a package which was, according to the customs declaration, a “carved stone for home decoration” originating from Turkey. It also declared a cost of “300” but no currency was mentioned. 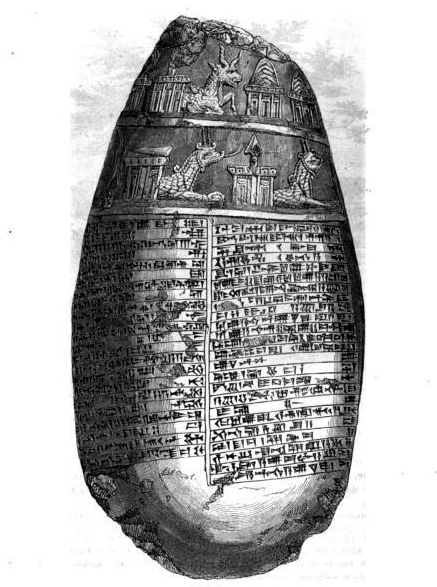 With the help of the British Museum, it was confirmed the object in the package was a Kudurru, or boundary stone, from ancient Babylon. These important stones served as official documentation of a grant of land by a king. Not many of these survive today and they are valued at hundreds of thousands of dollars. The word kudurru translates to “frontier” or “boundary”. The kudurru inscriptions were the equivalent of land registration records, setting out the limits of the estate, as well as privileges granted to the land-owner. They were principally used during the period of Kassite rule in Babylonia, between the 16th and 12th centuries BC. Very few archaeological artifacts are known to have survived from this era, and kudurrus are “in many cases the only documents of their period which have come down to us,” according to the British Museum. In addition to the importance of the text, such as references to Babylonian kings and historical events, they were carved were carved with animals, weapons and other symbols representing “the principal stars and constellations known to the Babylonians.” Such astral symbols were precursors to the zodiac. The kudurru recovered at the London airport is broken and not everything on it is clearly legible. However, it is still considered to be a museum-quality piece. 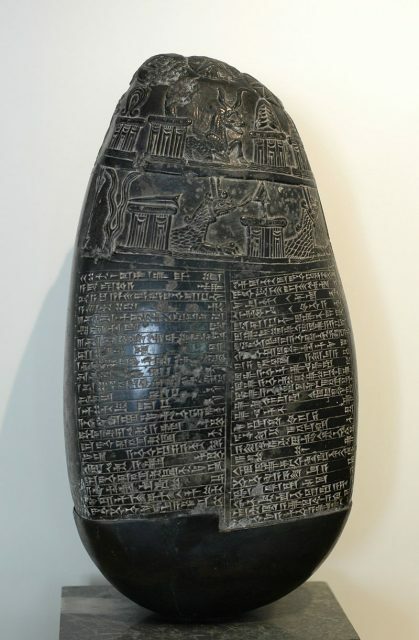 The cuneiform stone has been associated with the relatively unknown Babylonian king Nebuchadnezzar I, who ruled circa 1126-1103 BC. Nebuchadnezzar I notably defeated the Elamites, his kingdom’s enemies, successfully annexing their capital Susa — a city later famed as the administrative capital of Darius the Great of Persia. 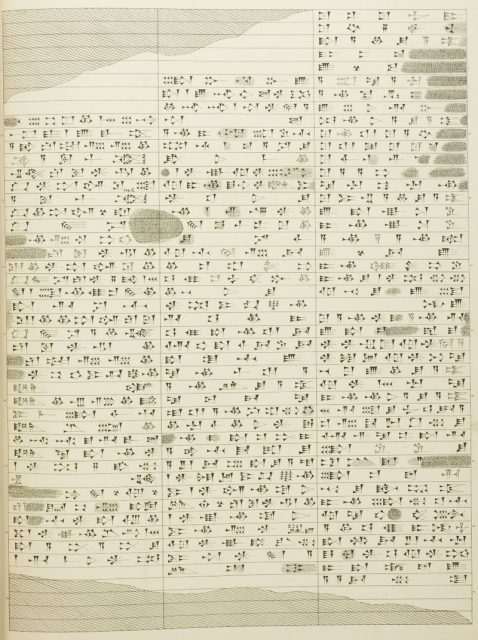 The recently retrieved kudurru has two columns of text which are difficult to decipher since a portion is missing some parts are worn out. What’s certain is that the stone artifact refers to some sort of military effort — perhaps the one king Nebuchadnezzar I led against the Elamites. 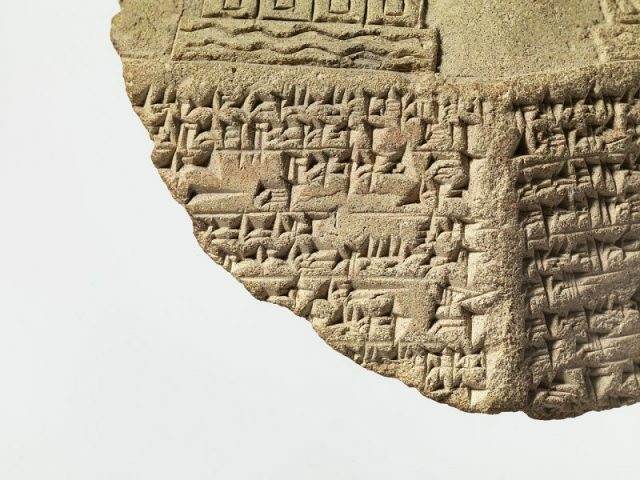 It is further considered that the stone object was illegally excavated more than 15 years ago when a number of archaeological sites in Iraq were looted as war and conflict prevailed. 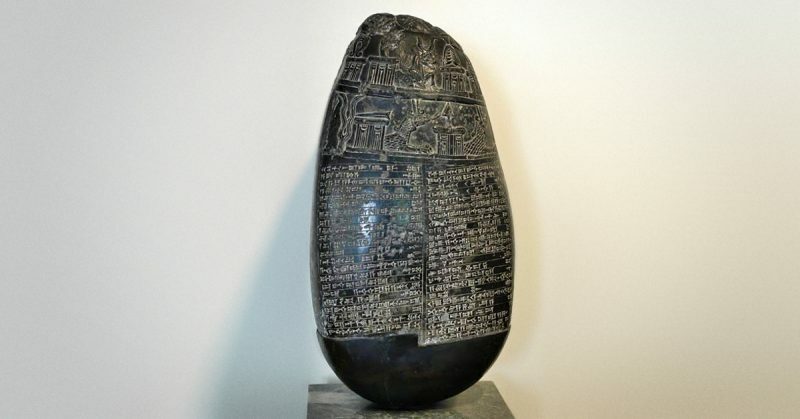 The British Museum is due to hand over the kudurru to the Iraqi embassy in London on March 19th, after which the ancient artifact will be flown to Baghdad. 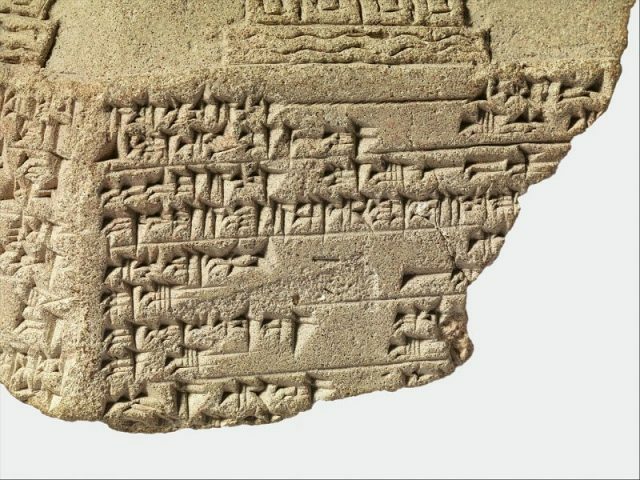 This is not the first time Britain has returned artifacts belonging to Iraq. 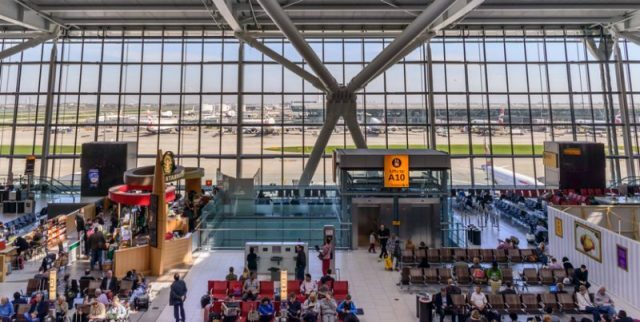 Several objects, previously seized by police officers from a London-based dealer, were handed back to the Middle East country in 2018. The situation with looting, which was a huge issue in Iraq at the time, has seen significant improvements over the past decade.